I once broke my neck and was told I would never walk again. Politely, I informed the doctor that hunting season was merely a month away and that we would not have time for that. The Rich Outdoors is a platform I created in order to share my journey in which I take full advantage of life and the opportunities that come with it. My mission is to learn from those who have come before me, to pursue new adventures, and to set out and chase goals. If life is about finding who you are and seeking your treasure, then hunting is one of life’s greatest teachers. 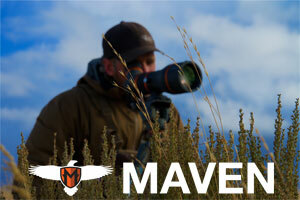 As hunters, we know that hunting is an obsession, but that obsession can drive us to achieve more and be better. To finally get in shape, to work harder, to push ourselves to greater limits. Yet, it also gives us time to pause and reflect. And these are just a few of the many things that hunting has instilled in me. Hunting has always been my passion and my escape from reality. Growing up in Oregon, I pretty much hunted and chased anything I could with my bows and BB guns. I would even get up early and head to the river on Saturday mornings to be gone so I didn’t have to work on the farm (avoiding real life with hunting started early). Naturally, I became obsessed with elk and elk hunting, and still am. Elk will always be the one animal that gets me fired up more than any other. For me, it’s all about the adventure, pushing the limits, discovering the unknown, becoming the best I can be, and helping to share what hunting is and what it means to those who are less educated on what it means to be a hunter. I originally started the podcast as a way to ask questions from those that were further ahead of me, I wanted to know how they did it and how they thought about situations. These were people I looked up to and I wanted their advice, as I was at a point where I didn’t have a mentor and there was not enough information available. However, along the way, I realized it wasn’t about me anymore. Floods of messages were reaching me from people all over the world that were more passionate and driven for the outdoors than I could have ever imagined. Younger guys were asking me what college courses to take and sending me pictures of elk they killed because of the podcast. Through hosting the podcast, I realized that the conversations that I was having and learning from were affecting thousands and changing how they thought, far more than the hunting films that they watched. The Rich Outdoors Podcast is not only tips and tactics for hunting, it also provides motivation and inspiration. 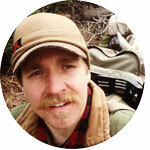 In creating my own ideal hunting mentor, I created the hunting mentor we all wish we had. Now, I get to share the takeaways with fellow hunters worldwide. We interview top bow hunters, rifle hunters, guides, and fitness freaks to master everything from pre hunt preparation to the decisions made in the moment of truth. 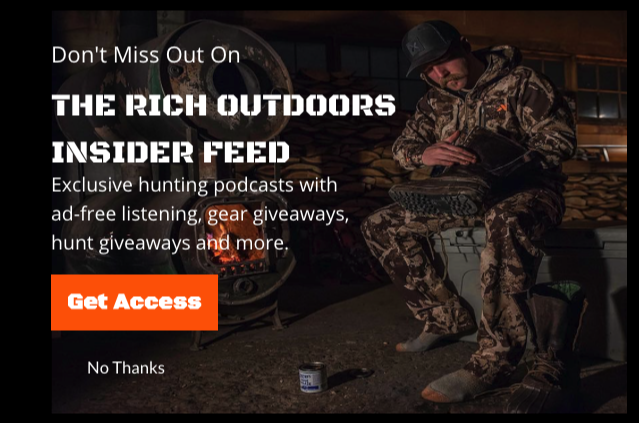 The Rich Outdoors Podcast will not only motivate you to get after it at the next level, but will help you put antlers on the ground and meat in the freezer come fall. 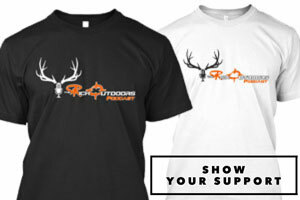 We want motivate and inspire you every week to be a better hunters, better outdoorsmen, and to help push you to that hunt of a lifetime.